Digital Print On Demand (DOD) is a system that adds value to DPS to enable the on-demand printing of graphics data. 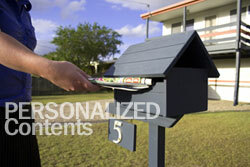 This is made possible by linking the system to the database to enable the production of highly-personalized direct mail. Ultimately, this helps corporate clients in conducting more accurate marketing activities.